Here is my version of it. Im trying to be as detailed as posible. Once finished I plan to do an animation of Kitt driving around to the Main Theme and eventually transforming into Super pursuit mode! Hope u like! I welcome comments! You are very talented! That's awesome! Awesome work! Can't wait to see the final product! Keep up the good work and can't wait for the finished one! Why I feel in old times again? Nice work dude, one question though, how did you put your attachment on the forum? I did some hand drawings that i scanned to my pc and tried to put them on the forum and they would not allow it. Thanks Turboboost! Hit POST REPLY (not quick reply) and when the new window opens where you can type the message, and right underneath the buttons SAVE- PREVIEW - SUBMIT you will find 2 tabs: One says options, the other says UPLOAD ATTACHMENTS. That's your ticket! Also I dont know about the resolution restrictions by the site. So check on that. blazevski !! thank you so much! Its funny that you modeled a Renault Clio... I also did one a few years back. the link to the pics is http://claudiocampolieto.com/3d_images/index_clio.htm (my personla site, which hasnt been updated in ages!) what software do you use? 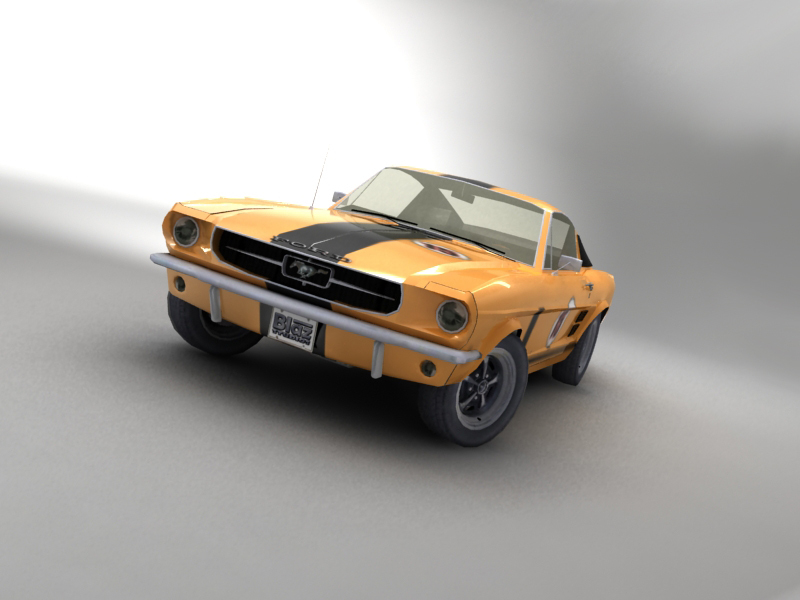 By the way... the link you worte goes to a pic of a 1960's mustang lol.... nica car indeed though!! by the way, your clio looks very nice!! Yes, you are right.... thay clio needs to be polished. the overall model is good, its just not that clean and high poly. Also.... my renderings were done without any effects... I am in the process of learning some more rendering technics using Mental Ray. Thanks for the Art comment... hehe. Here is an update i just finished. FIxed the front seats. The headrest was too tall... I also added arm rests to the back seat and finished the trunk lining. Also I started that tricky dash!!! I forgot to mention, I have an MPC 1:24 kit that i can use for reference when I cant find pics. It's betting better step by step as you go along! Wow, very detailed KITT model, looks really nice! went through ur website today... ur good... what school did u go to? to bucksanass1: Thank you for your comment =) The power bulge will come soon. I want to concentrate on the hard-as-hell interior first!. the easier stuff to model will come later on. I am afraid i will model all the easy stuff first and when i get to the hard part quit.